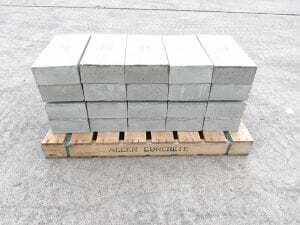 Allen Concrete manufactures precast concrete products for the fencing and building industries. Plants in Surrey and Northamptonshire utilise modern production methods and machinery backed by careful quality control for the mass production of a large range of standard products. From 1st July 2013, under the Construction Products Regulations (CPR) it has become mandatory for manufacturers and distributors to declare the performance of and apply CE Marking to any of their products which are covered by a harmonised European Standard (hEN). For information on CE marked products and Declarations of Performance please click here or contact one of our Sales Offices. 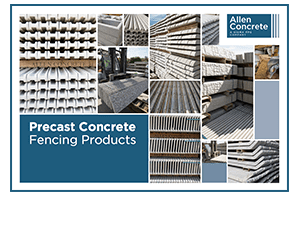 Allen Concrete is part of Sigma PPG – a cluster of companies specialising in the manufacture of precast concrete products. With locations in East Anglia, the East Midlands and London we supply a wide and diverse range of industries, ranging from house builders and agriculture through to sea defences and car parks contractors. Our companies are some of the most experienced and innovative in the industry with some operating for over 70 years, while others hold a number of exclusive patent licenses on their market leading products. The group provides a selection of precast concrete products and has the technical and production capabilities to work with our clients on any custom or bespoke project.